Norway's parliamentary elections on Monday will point the way forward for the country's left. On September 11, Norwegian voters go to the polls for parliamentary elections. For a long time it looked as though the center-left, led by the Labor Party, would take over government after four years of right-wing rule. However, in the last phase of the campaign the race is much closer, and a lot depends on which of the smaller parties get over the electoral threshold of 4 percent — the ones on the right or the ones on the left. Still most polls are showing that the conservative coalition will have to step down and be replaced by a Labor-led government, supported by either the Greens, the Christian Democrats, the Farmers Party, the Socialist Left Party, the Red Party, or some combination of those. For many in Norway, such a development would be relief after the last four years of tax cuts for the rich and attacks on the country’s still extensive labor protections. Those policies have been married to a clamp down on immigration and Islamophobic rhetoric. Still, Labor Party leader Gahr Støre is no Jeremy Corbyn. In fact, he has likened himself with the French president Emmanuel Macron, and would much rather collaborate with the center than with the Left. The good news is that voters don’t seem to be buying it. Norway is de facto a nine-party-system, although several other smaller parties exist. On the left, two parties are now surging in the polls, challenging Labor from the left and hoping to have a say on the course of the country’s policies the next four years. Jacobin’s Ellen Engelstad — editor of the online journal Manifest Tidsskrift — had a chat with Marie Sneve Martinussen, the deputy leader of Rødt (the Red Party) about their strategy for the election and their analysis of the current state of affairs in Norway. Your party is quite small and not currently represented in the parliament, but that looks ready to change. You may get one, two, or three representatives elected, and possibly even seven to nine if you get over the 4 percent threshold. Can you say something on why you’re experiencing a surge now? It is not surprising to us, as we have built the party organization little by little over the years. Our membership has doubled since 2013, and most of the new members are younger: the majority are born in the 1980s, although we have representation from every age group. Our breakthrough isn’t in this election, but the local elections held two years ago. We performed well and went into coalitions in local governments and cities, which means that more voters saw we want and how we perform than had previously encountered us. It is a new situation for us to explicitly seek power together with SV and Labor, and it is based on a strategy of having a bigger breakthrough in real politics. This has worked well in Oslo, the capital, as well as in other cities — we would not have experienced this surge if this were purely a phenomenon in Oslo. Your party was founded in 2007, but has roots in the Maoist movement of the 1970s, among other currents. Can you say something about your party’s formation, and also how this past has been used against you? The party was formed in 2007 when the Workers Communist Party (AKP) and the Red Election Alliance (RV) dissolved to form Rødt together with AKP’s youth party Red Youth (RU) and independents. RV was originally the electoral front of AKP, but since 1991 it has worked as an independent party. I joined Rødt in 2009 and don’t know all that much about its past. However, a party consists of its members, and since a majority of them joined after 2013, that past is not all that relevant to them. When the media asks us questions about Pol Pot and our relationship to democracy, many of our members don’t get it. It’s not that they are upset or feel hurt, they just don’t understand the relevance of that history. The formation of Rødt happened at the same time as the global financial crisis, at the same time as when the Socialist Left Party (SV) formed a government with Labor and opened the Barents Sea for oil and gas drilling. Later that government joined the NATO-led war in Libya, so there was a new radicalization in my generation and a demand for a real socialist party. In 2012 there was a strategy dispute in the party, with a lot of debate and internal frictions. But at the general convention that year, a long-term strategy gained support and parts of the current leadership were elected, myself included. We wanted to sharpen our focus on the economy, democracy, and labor issues. It was not a question about moving to the right, but about putting labor and the economy at the heart of everything we do. That strategy has been working very well, and we have experienced a huge lift. Turning to the current state of affairs. Norway is a rich, Nordic welfare state with universal health care, free education including universities, cheap day care, and generous parental leave. There seems to be a political consensus on this welfare model too, at least in rhetoric. So what is the role of the Left in such a “successful” capitalist state? The consensus for “the Nordic model” is only superficial. The capitalist class has abandoned the class compromise, but the Labor Party hasn’t gotten the memo. The welfare state is being attacked from below by commercial companies; for instance, there have been huge changes in our health sector and the pension system. And the Labor Party has overseen many of these changes. What is important is to locate power and interests, not just move money on the state budget. For example, doubling child care benefits is good and costs money, but it doesn’t challenge any power structures. That’s why a party like Rødt, with our analysis, is important. We need to point out that power is not equally distributed, but we also need to make the connection between this analysis and people’s everyday lives. That has been the biggest problem for contemporary European left-wing parties: that they are unable to translate their knowledge into a politics that make sense to people in their everyday lives. A lot of Norway’s wealth comes from oil, which is unsustainable in the light of climate change. Is this being discussed in the electoral debate? Yes, for the first time, it is finally being discussed. I have worked on environmental policies for a long time, and was arrested for protesting against the building of the Mongstad gasworks in 2007. We are winning hegemony, and public opinion is rapidly changing. 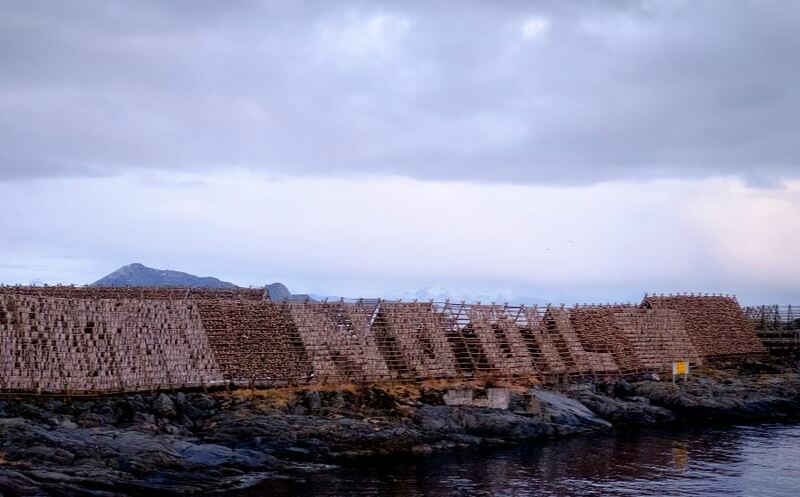 For a long time, the major battle has been the fight against oil drilling outside the picturesque Lofoten islands, which are also an important spawning ground for fish. We have won this fight five times already and I’m confident we will win it again. Because of the Paris agreement and the green energy shift, even the Labor Party is now more open to the argument that oil is not the future, but it is a tough debate in an oil-fueled economy. You have been talking more about ideology and capitalism in this election, which is unusual in Norway. For instance, in a lecture by party leader Bjørnar Moxnes about your party’s politics that filled four rooms to the brink at the House of Literature in Oslo. Why are you focusing on this subject, and what feedback are you receiving on this approach? It is a conscious choice to talk about capitalism and how it works during the campaign, and something has happened in the world that makes that easier: namely, climate change, inequality, and changes in labor. It is extremely important how we talk about this, and we couldn’t have done it ten years ago. But the world has changed and we are conscious of how to explain concepts like capitalism and socialism today, of how to reclaim Marx for our time. On that note, the Nordic welfare model has been criticized by some for keeping society and capitalism in check rather than advancing new progressive politics. Is that a real problem: you are saving capitalism from its own destructive forces rather than attacking it? Well, there’s that poem right? You mean the one by Bertolt Brecht? Yes. It’s about trying to ease people’s lives while at the same time working against exploitation. You can’t get people excited about your project without showing them what you want. There’s a lot you can do within capitalism that moves in the right direction, like increasing the publicly run welfare state, fighting for good, nationwide tariff agreements for workers, and stronger agricultural lifts for farmers. You need to enact real change for people to get them with you on a progressive platform. The problem with Nordic social democracy is that it stops at some point and its leaders think they can hold their stance there, as if capitalism will accept a lot of constraints and settle with that, which, of course, it won’t. You are also looking to the Left elsewhere, and often talk about Corbyn, Podemos, and Sanders. You have even gotten some help from the Bernie Sanders campaign this year. In Oslo, lots of young people wear “Bjørnie” t-shirts and “feel the Bjørn” buttons. What have you discussed with the Sanders campaign, and has it changed your strategy? We are very inspired by the Sanders and Corbyn campaigns, and have been talking to Momentum a lot as well. There are big differences between the countries, but the general direction is the same. We have learned a lot about campaigning, for instance, about diversity as an organizational strategy. The “Bjørnie” thing, for instance, is not part of our official campaign, but a fringe thing that some activists are doing. We have also learned to aim high. For example, we have been organizing two summer festivals called Popvenstre (Pop Left) in less than a year. It might sound like a strange priority, but it comes from the belief that a political movement needs culture and enthusiasm; everything that Labor lacks. There is a huge will to act now; after all, it’s a question of saving our planet. We want people to feel they are part of a bigger phenomenon and to build a broad movement. Norway has two parties to the left of the social democrats, in addition to a Green Party that claims to transgress the divide between left and right, but still agrees with you and SV on many issues. Do you think the three parties complement each other, or is there a risk that the Left is too split to become a larger force in society? How do you see collaboration between the parties after the election, both within and outside of parliament? We complement each other: we formed from different backgrounds and are mobilizing different people. For Rødt, a lot of the people we’re mobilizing didn’t vote in the last election. All three want to change the world for the better, but parties are strange animals, and what kind of analysis wins hegemony within a party varies. The elections date is not the end of politics, but the start of it. We need to build a large, popular movement to stop climate change and make a more just world. I am curious if the Green Party will join in on that or continue to be class blind and open to collaboration with the Right. What is clear is that social democracy has failed. The Labor Party is moving to the right on questions of refugees and the economy. They want broad compromises and to collaborate with capital in a time when capital itself is increasingly aggressive. Their political analysis is outdated, and it was clear the last time they were in government that they didn’t have a vision for a different society, they just want to oversee the status quo. Marie Sneve Martinussen is the deputy leader of the Norwegian party Rødt.